Please enjoy this replay, and new episodes will return next week! Happy New Year! On this episode of the Insurance Innovators Unscripted Podcast, I speak with Sabine VanderLinden, CEO of StartupBootcamp InsurTech, a leading early stage accelerator that provide startups with valuable resources to fuel their unique propositions to meet the insurance market’s needs. VortexLegal is a proud sponsor of the Insurance Innovators Unscripted podcast. Innovation in the insurance field is exciting and VortexLegal is a unique and proven solution to help improve your company’s loss ratios by substantially reducing legal expenses. Their nationwide network of local attorneys attend the voluminous, routine and predictable hearings for a flat rate, not hourly. VortexLegal’s solution works with both your staff counsel offices as well as outside law firms. They’ve saved carriers millions of dollars. To learn more contact Jonathan Broder at 954-473-2648, JBRODER@VORTEXLEGAL.COM, or visit VORTEXLEGAL.COM. 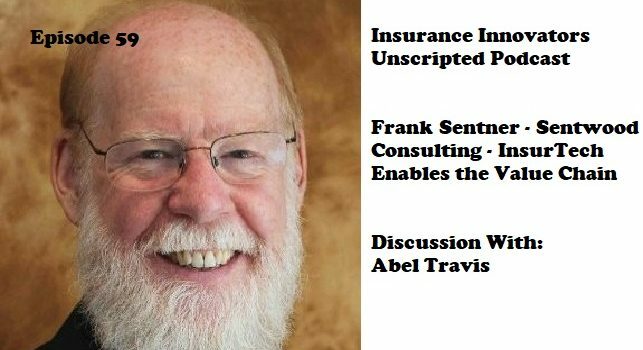 On this episode of the Insurance Innovators Unscripted Podcast, I speak with Frank Sentner, Founder of Sentwood Consulting, a company focused on improving the business process integration between insurers, independent insurance agencies and brokerage firms. 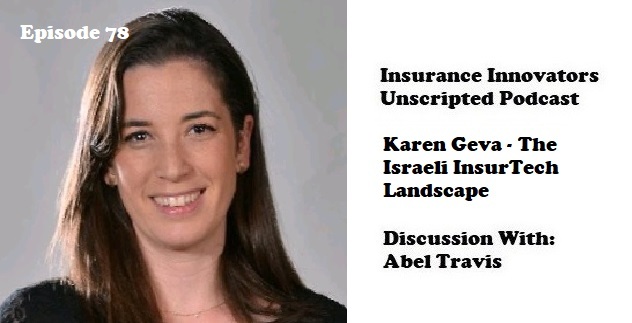 VortexLegal is a proud sponsor of the Insurance Innovators Unscripted podcast. Innovation in the insurance field is exciting and VortexLegal is a unique and proven solution to help improve your company’s loss ratios by substantially reducing legal expenses. Their nationwide network of local attorneys attends the voluminous, routine and predictable hearings for a flat rate, not hourly. VortexLegal’s solution works with both your staff counsel offices as well as outside law firms. They’ve saved carriers millions of dollars. To learn more contact Jonathan Broder at 954-473-2648, JBRODER@VORTEXLEGAL.COM, or visit vortexlegal.com. Thanks for listening to this episode. Tune in every Monday to hear from more Insurance Innovators. Subscribe on ITUNES, STITCHER or by visiting INSURANCEINNOVATORS.CO to get access to special episodes and content. 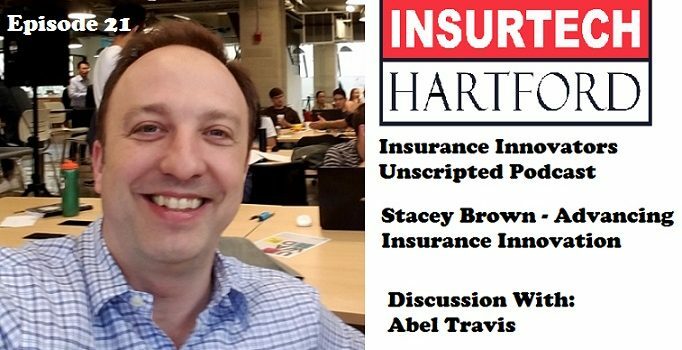 On this episode of the Insurance Innovators Unscripted Podcast, I speak with Stacey Brown, Lead Organizer for InsurTech Hartford. InsurTech Hartford is a platform for advancing the insurance industry through new innovations, bringing Hartford’s insurance giants together with passionate and creative minds and skills to drive change from within the industry.